Today we suggest you to learn about how you can listen to music wirelessly on different devices. We will show where it is possible to apply this, tell about the Bluetooth headset application on Android, and explain how you can play music in the car via your phone. If you bought the stereo headset and have not figured out how to use a Bluetooth headset as Android headphones, we will provide step-by-step instructions. It is very easy to connect it because it does not require any third-party applications: the manufacturer of the headphones has already provided the necessary functionality. Turn your headphones on and activate the detection mode according to the operating instructions. This is to ensure that your phone is able to see it during scanning. On your smartphone, go to “System Settings”. Move the switch (located at the top right) to an active state to turn the wireless module on. The next step is to find your headset. To do this, press “Search devices”. Scroll down the list of available devices, find the name of your headphones and select them. At first pairing, the device can request a password (usually it is 0000). If not, see instructions. After these steps, click the gear icon and make sure that the «Media audio» is checked. At this step, the entire procedure is completed. Now all the sounds from your smartphone should be transmitted to your headphones. 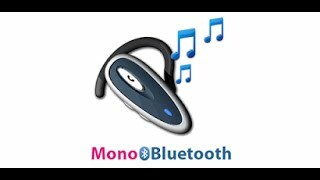 Now we will show you how you can use an ordinary, even the cheap mono Bluetooth headset as headphones for Android. The standard method does not allow it because such functionality is not provided, so we need to use a third-party program. It is called “Mono Bluetooth Router” (it is the Bluetooth headset music player for Android). It is available for free in the Google Play. Just as in the previous situation, activate the detection mode on the device through which you will listen to music. Then follow the steps 2-7 described above, because these actions are performed by analogy. Launch the “Mono Bluetooth Router” app. In the window that opens, click «On» and hide the program. After these steps, as in the first section of this article, all sounds will be broadcasted to the headphone’s speaker. The sound quality in most models can be poor, because originally, this type of speakers was designed only for talking and good quality was not required there. 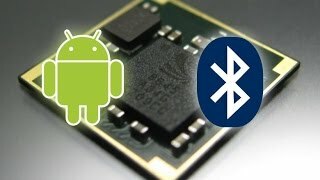 Perhaps, for some people this is one of the most interesting topics, because here we will tell you how to play music through Bluetooth in the car with Android sound system. First, you need to determine whether your car audio system has the preinstalled A2DP Bluetooth module (streaming audio playing). If you are sure you have it all, you can skip the next paragraphs and go directly to the steps. 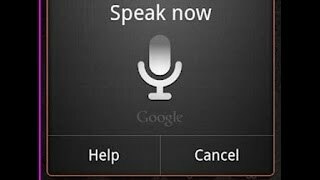 If you have an ordinary sound system and you want to listen to songs through it from your smartphone, you will need to purchase inexpensive additional equipment. Since even the most affordable receivers have the AUX input, we suggest using Bluetooth receivers with access to the AUX, because they can transmit high-quality sound. How it works? You connect the receiver using the usual 3.5 mm plug into the AUX socket on the sound system and select this mode in it. You can buy these receivers for about $5. 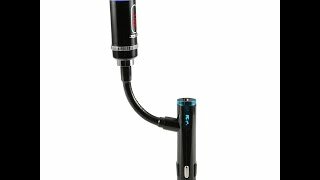 Here is one example of how this device looks like. If your sound system does not have this socket, you can purchase a device that will broadcast the output signal via radio frequency. However, the sound quality will be the same as when listening to FM-radio, which is much worse. The device receives a signal from the phone and transmits it to the radio frequency that you have set. You will need only to find this frequency on the radio receiver, and that is all. Price of such devices is about 2 times more expensive than the first option. As in the case with wireless stereo headphones, you need to enable detection mode according to the instructions of your car multimedia system or an external receiver. Next, repeat steps 2-8 as described in the stereo headset setup. After you enabled the detection on the receiver and connected it to the phone, start the standard music player. In the player, select “Share”. When you see the name of your player, click it to pair. Then everything is as usual: start songs in the player of your smartphone, and the sound will be played in the speakers of your car.